MUST SELL!!! BRING ALL OFFERS! 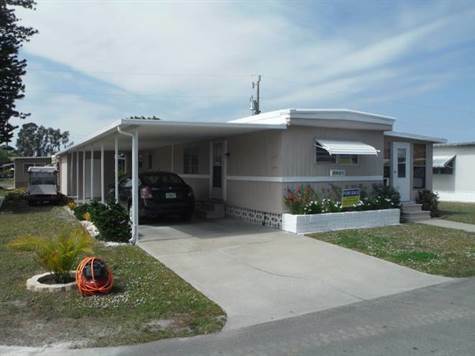 A totally renovated 2 bedroom and 2 bath home. New flooring, paint and a brand new kitchen. New modern lighting has also been installed. The carport holds at least two vehicles. The owner is INCLUDING a beautiful Golf Cart as part of the sale!!!! The house has a new roof over and is on a cul-de-sac. Master bedroom bath has dual sinks and the kitchen is a beautiful eat in. It is available for immediate occupancy. Located in the age-qualified community of Windmill Village.